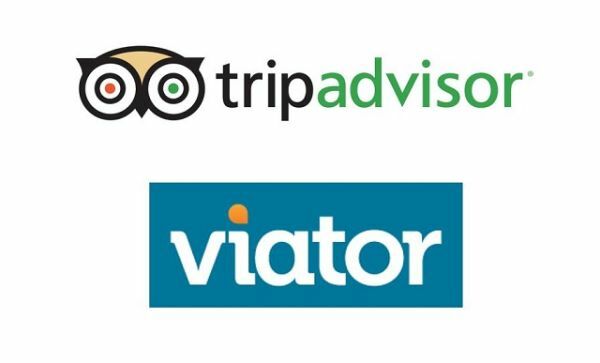 Children are well entertained with the Atlantis activity pool, Pegasus Childrens pool and the Trojan adventure. 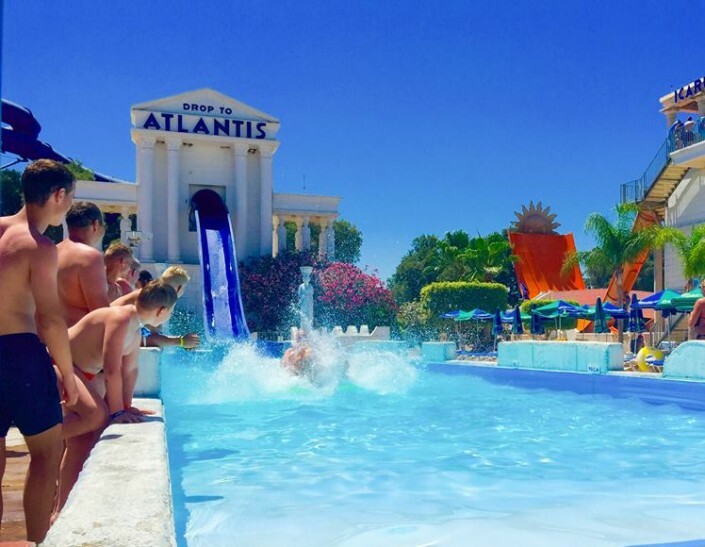 Those seeking a more adrenalin fuelled ride can attempt the Kamikaze slides, Drop to Atlantis and the fall of Icarus. As well as the rides, visitors have the benefits of free parking, sunbeds and umbrellas, showers and changing facilities. Lockers are available for daily rental. All staff are fully trained and first aid is available if required. Restaurants or snack bars are also available in the park. There is a choice of self service full meals, pizza, fish and chips as well as a creperia and ice cream parlour. WaterWorld is located on the outskirts of Ayia Napa. It first opened its doors in 1996 and since has earned its reputation as the most popular tourist attraction on the Island of Cyprus. 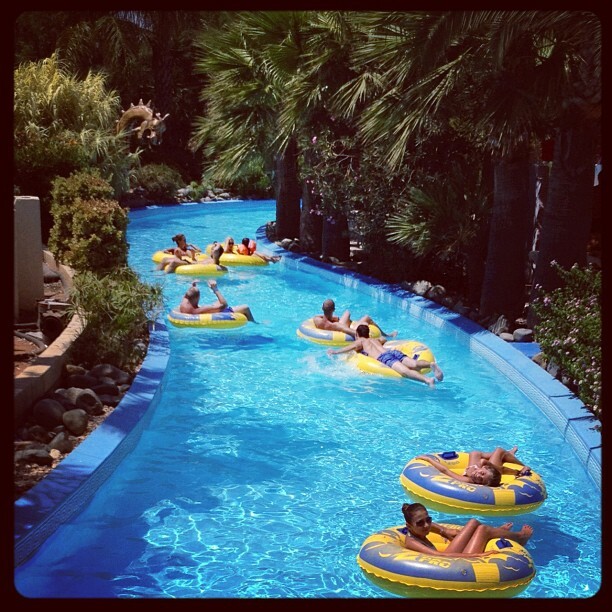 More than 100 square meters of fun and relaxation has made WaterWorld equally popular with locals and tourists alike. Over 4.5 million guests have visited the park which is the largest themed waterpark in Europe and one of Cyprus’s biggest attractions. With over 21 thrilling rides for all ages, the park is themed on ancient Greek mythology. 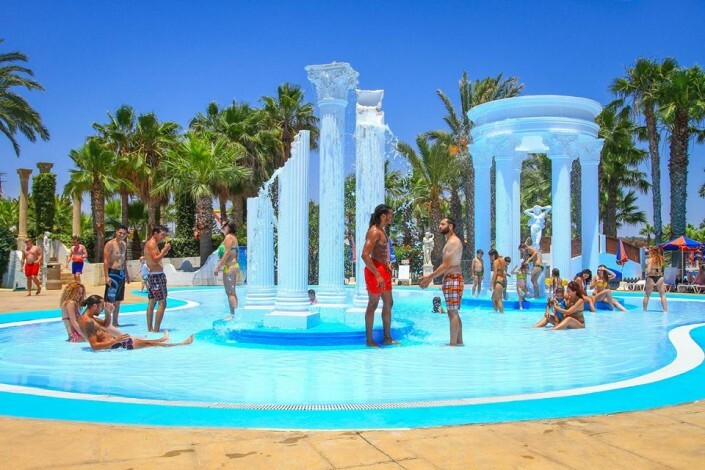 WaterWorld Themed WaterPark has received 25 international awards for creativity, marketing, customer service and appearance, including the biggest wave pool in Europe, the first ever boomerango ride. The latest 2 additions to the Park are the Thunder Bolt & Lightening a high speed adrenaline ride and Minotaur’s Labyrinth – The big wet bubble children’s ride. PRINT OUT the Confirmation message with the scan or photo of Original Ticket and present it at the entrance of Water Park to get in.